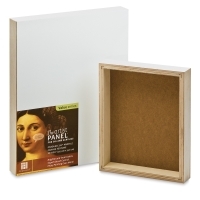 Great for all painting styles, this panel is made with top-quality, high density fiberboard (HDF), coated on all sides with premium, acid-free acrylic gesso primer. The silky-smooth, semi-absorbent ground is excellent for painting in oils, acrylics, and waterbased media, as well as for drawing. 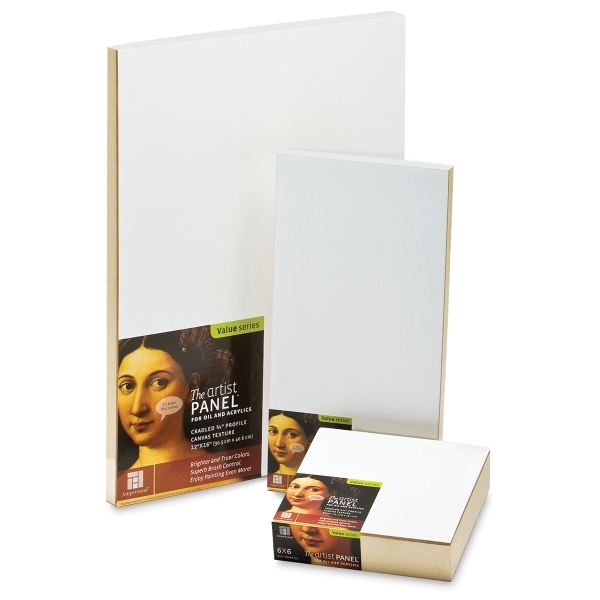 It's also ideal for mounting papers, ink jet prints, photos, and canvas. Available in 1/8" and 3/8" flat solid HDF panels with hanging slots on the back, as well as 7/8" profile and 1-1/2" profile cradled panels. The cradle support frames are made using solid pine for maximum stability. Fully primed edges offer the option to wrap your images around the sides of the panel.